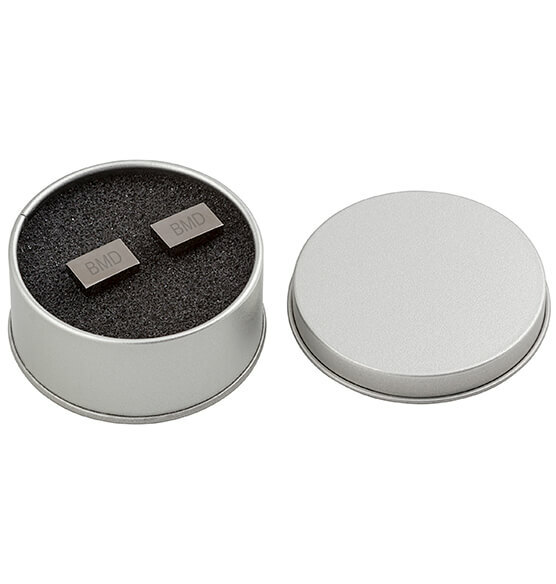 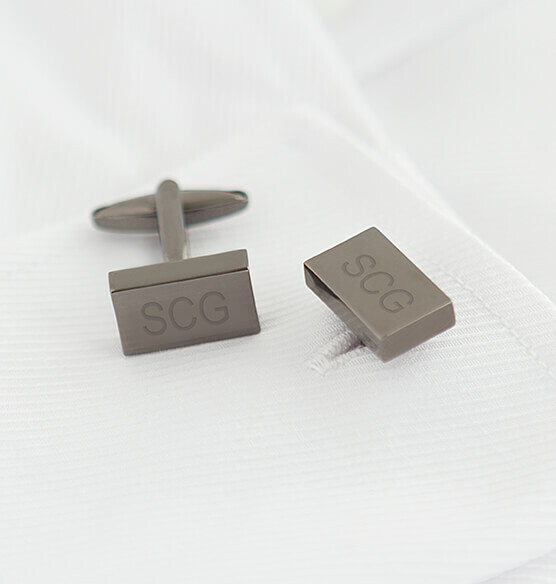 The Personalized Gunmetal Rectangle Cufflinks add the perfect touch of style to your professional attire. 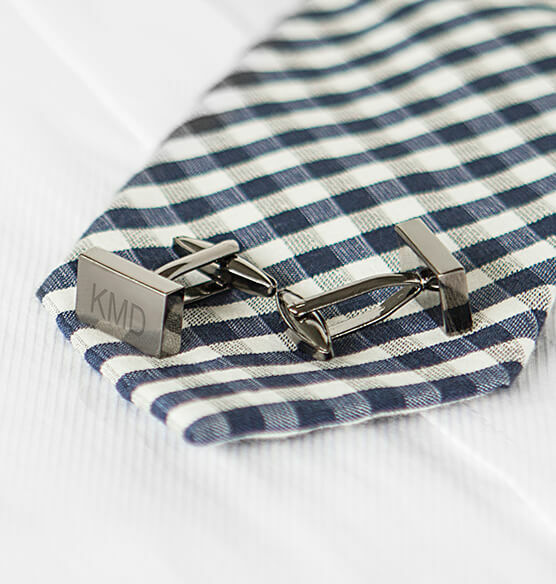 These classic custom cufflinks feature a secure T-back clasp, are engravable for a personalized touch, and come in a silver tin gift box. 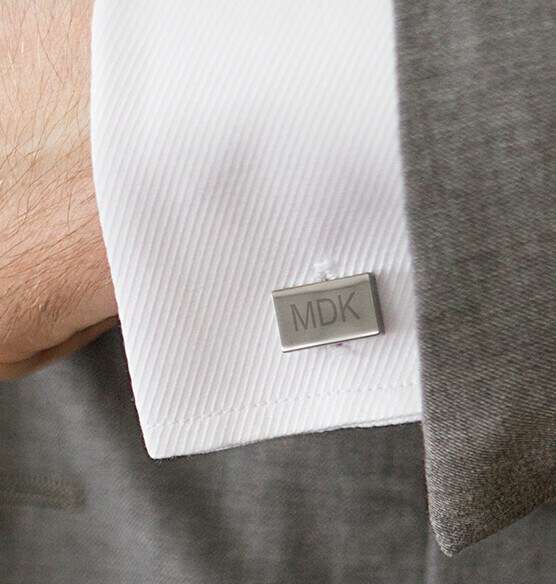 Polish off any look with a pair of these cufflinks or give as an ideal groomsmen gift. 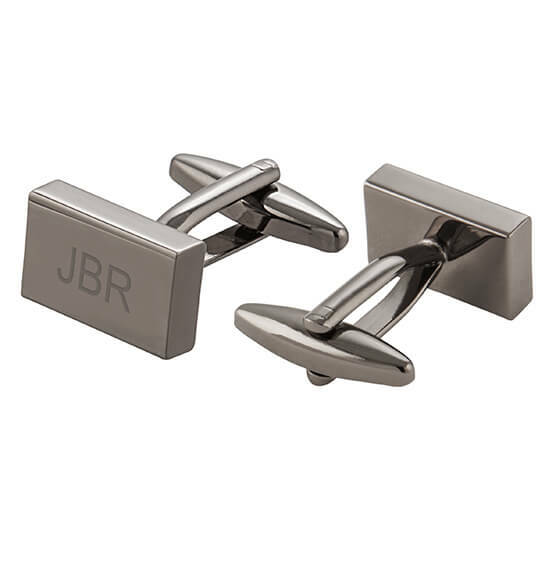 Brass with a gunmetal finish.